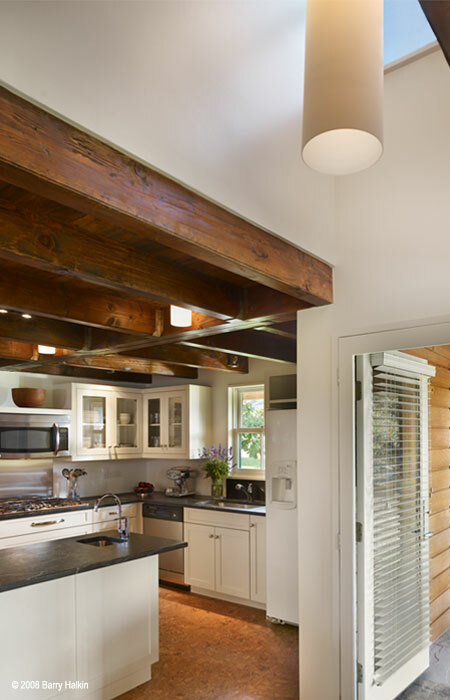 Originally the caretaker’s residence on a picturesque 42 acre summer estate outside of Philadelphia, this project is a 21st century interpretation of the Pennsylvania farmhouse. 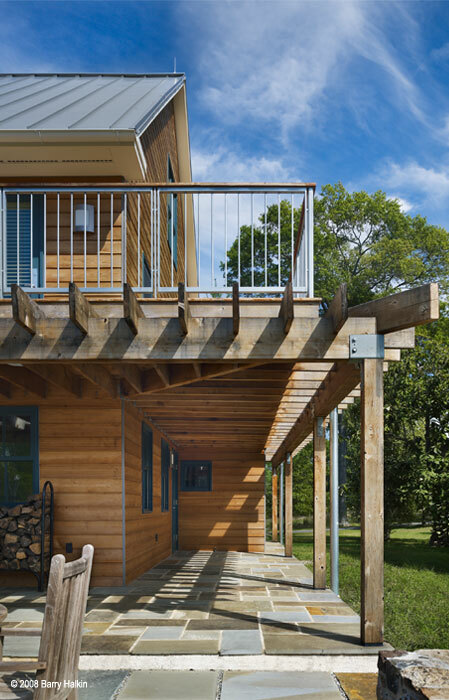 It features a central stair scheme, expansive wrapping porch and a strong connection to the outdoors. Fragments of the original house, which dates to 1795, merge with simple and clean lines of modern design to create a timeless aesthetic. This connection is reinforced through the restoration and reuse of original stone and timber. 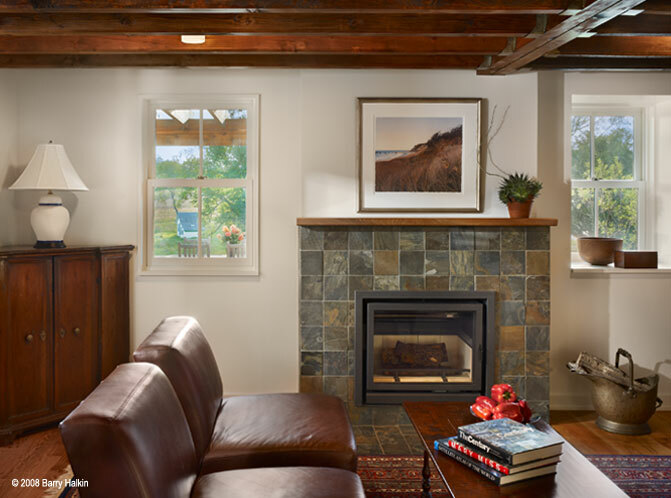 A coding system of materials differentiates the original structure from new construction: existing walls remain stucco on stone and new construction is designated by custom cedar siding. 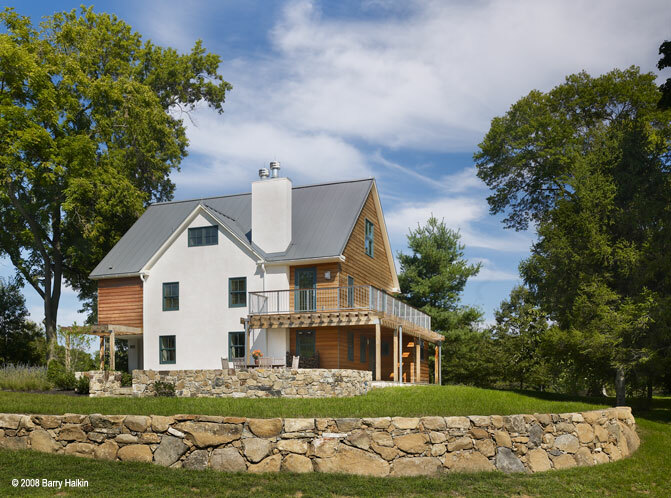 The warmth of the cedar provides a counterpoint to the white stucco walls, and is complimented by a metal roof, stone site walls and a custom galvanized steel railing. The material palette is engaging and textured, yet understated, and permeates every detail of the design.